Back in the day of the newspaper (remember those?) you were forced to read whatever horrible comics your paper happened to have syndicated. Now that we're in the wild wild world of the world wide web, any artist with a domain name can try his hand at a webcomic, making us as consumers fairly spoiled for choice. But, just like shovel-ware on the Wii, you'll have to wade through quite a few... less than stellar webcomics to find the good ones. Thankfully for you, dear reader, we've gone ahead and picked out some of the best ones out there. Here are the eight webcomics you should be reading, aside from the ones that are already available on The Escapist. 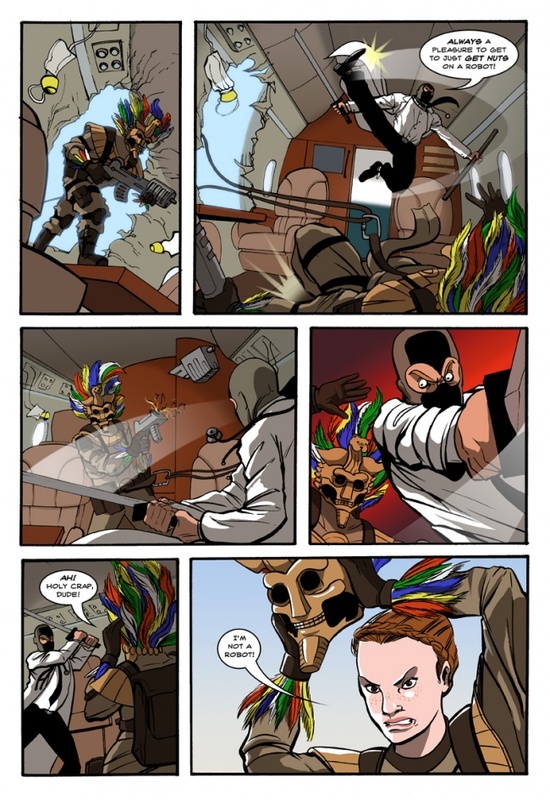 Dr. McNinja is a Ninja who is also a doctor. And Irish? Anyway, this incredible webcomic from Christopher Hastings follows the adventures of the titular Doctor, who, alongside his companions: Judy, Gorilla receptionist, and Gordito, raptor riding 13-year-old bandito, saves his hometown of Cumberland from the bizarre forces of evil. Hastings is a professional comic artist, working on the official Adventure Time print comics, so his artwork is absolutely beautiful, and second-to-none. The Advetures of Dr. McNinja is a serial, so you'll have to start from the start to get the most of it, and it updates three times a week.